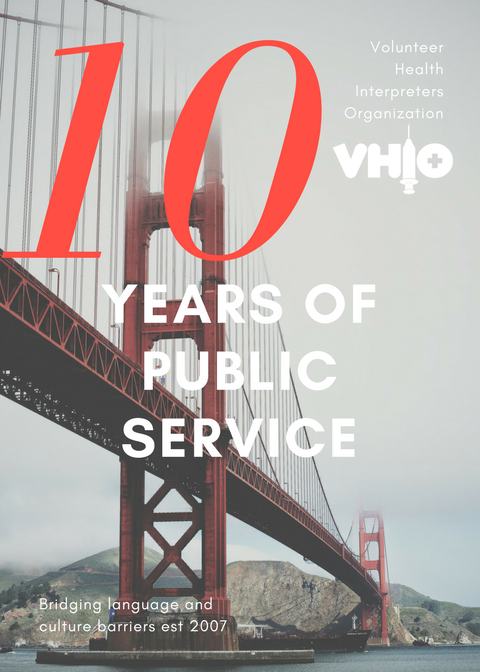 VHIO is a non-profit organization that runs solely on grants and generous donations from people like you. Every year we train dozens of new volunteers and assist over a thousand members of the underserved LEP community across the Bay Area through our partners. Donate today to help us raise awareness and provide essential support to our partner healthcare organizations and patients. All donations to VHIO will be made through University of California, Berkeley and is 100% tax-deductible.